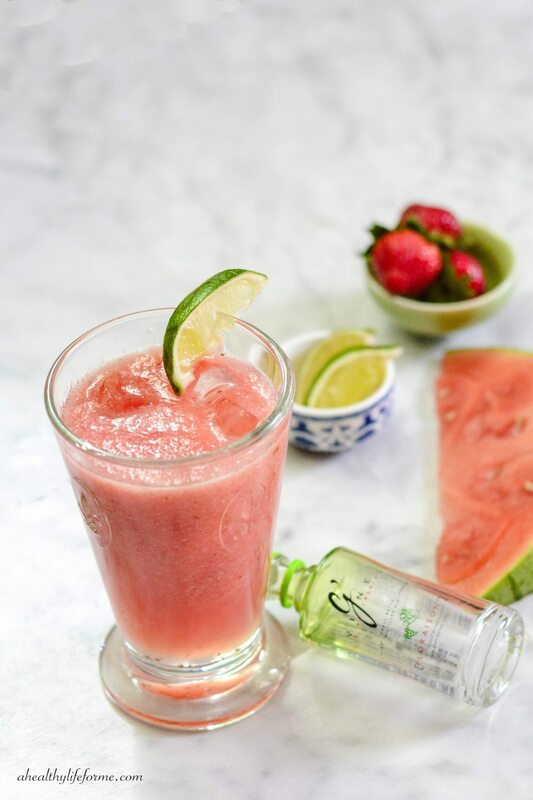 A Strawberry Watermelon Gin Fizz is the perfect sweet, refreshing cocktail to enjoy on a warm summer evening. This year with the long cold winter my strawberries plants which are called “June bearers” actually were still producing a few berries on June 1st, though I harvested most of my crop the week before. Typically my strawberries ripen at the beginning of May and are long done before June ever rolls around. The week that I picked my last handfuls of strawberries the grocery store had a huge batch of seedless watermelons on their shelf. G’Vine Gin sent me some samples of their product and asked me to test it out, and I happily obliged. I never was a big fan of the Gin cocktails, but over the last few years (wonder if it might have something to do with this blog….hmmm?) I started spreading my cocktail repertoire and I now tend to lean toward a Gin cocktail over a Vodka. 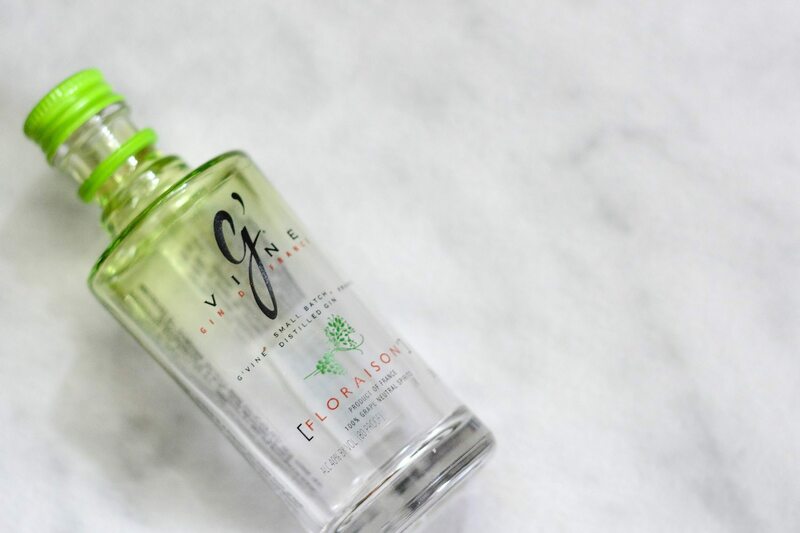 This ultra-premium G’Vine gin is produced the French region of Cognac and is distinct due to its infusion of green grape flowers from the prized Ugni Blanc grape. 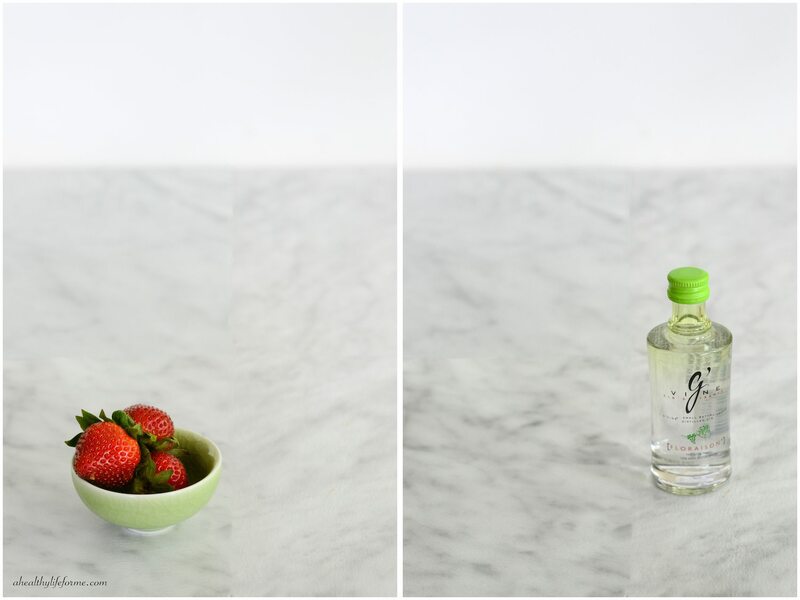 The flavor of this G’Vine Gin is delicious fresh sweet, fruity and delicate. I would highly recommend giving this Gin a try in cocktails or alone, you won’t be disappointed. 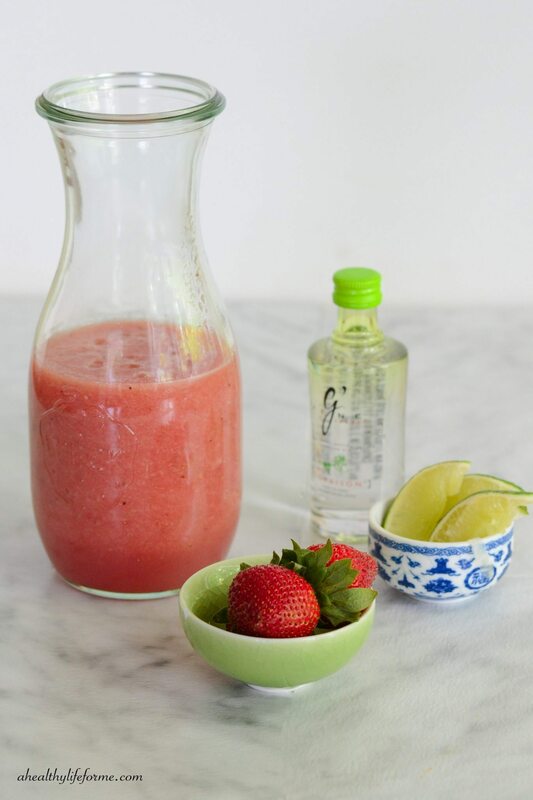 Place Watermelon and strawberries in a blender and puree. 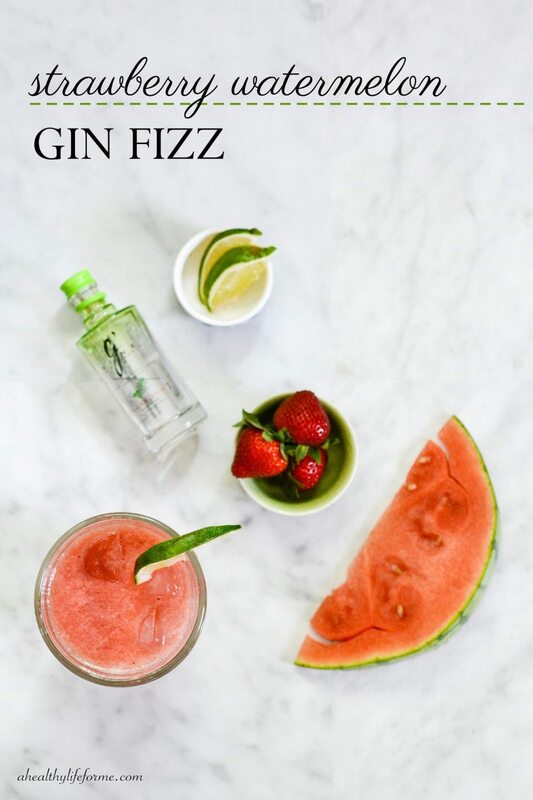 Add Lime Juice, Gin and Simple syrup and pulse blender to combine. 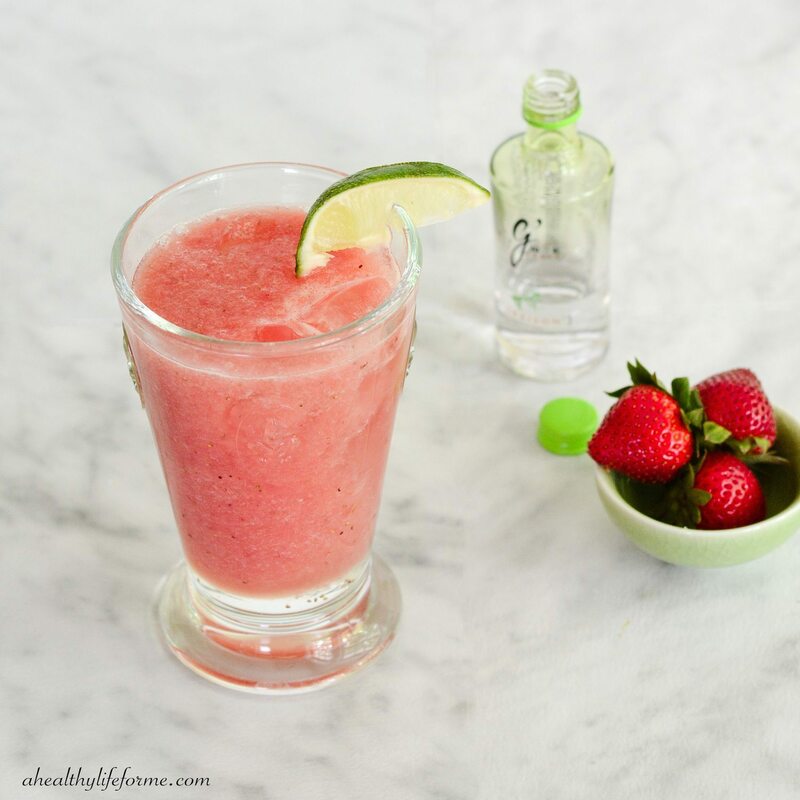 Fill high ball with fresh ice and pour Strawberry Watermelon Puree.